New York City is home to 359,000 women-owned businesses (and counting), which employ over 190,000 people and generate $50 billion in sales annually. While female entrepreneurship is experiencing a gloriously steep incline, there are still significant gaps to close between ownership, employment, and sales of men- and women-owned businesses. According to a landmark study of NYC women entrepreneurs conducted by the city in 2015, key challenges include access to capital and financial planning, tailored business skills education, streamlined information, and direct connections to mentors and networks. Dozens of programs, businesses, and organizations exist in NYC to help women business owners address these very issues. Many resources are free and available to anyone, while some come with requirements and fees. Peruse this comprehensive list of resources to find at least one new opportunity to learn, connect, and grow your own small business (or the business of your favorite woman entrepreneur)! WE NYC launched as a partnership between the City and Citigroup with the aim of supporting 5,000 women entrepreneurs in underserved communities. The program’s user-centered design and focus on women as key economic drivers is groundbreaking among cities in the US. So far, the initiative has produced an extensive research report on women entrepreneurs in the City and started building community with occasional events and an active Facebook group. While not exclusively for women, the New York City chapter of SCOREincludes women experts in their fields who offer to mentor new and growing business owners in person or remotely, totally for free. The Women’s Business Center is part of the Business Outreach Center Network. From its offices in Brooklyn and Staten Island, WBC offers business training, one-on-one counseling and financing resources to help women entrepreneurs, especially in underserved communities, start and grow their businesses. The M/WBE Program provides businesses owned by women and minorities with opportunities to get contracts with NYC agencies. M/WBE certified companies get access to technical assistance, a listing in the City’s Online Directory of Certified Businesses, educational workshops, and networking events. The Women’s Center was established in 1970 to support the economic self-sufficiency of NYC women, especially those in underserved communities. The Center has conducted Career Services programs for 40,000 low-income and unemployed New York City women to date. The NWBC is a non-partisan federal advisory council (the only one of its kind) that advises the President, Congress, and the U.S. Small Business Administration on economic issues relevant to women business owners. They offer fact sheets and research to the public. DMWBD exists to help Minority- and Women-Owned Businesses (MWBEs) gain access to and bid on state contracts. The non-profit WBENC is the largest third-party certifier of women-owned business in the US. In addition to certification, they offer opportunities, resources, and engagement. The NYWCC is a non-profit “dedicated to assisting women and other disadvantaged minorities achieve success and economic independence through small business, micro-enterprise ownership and self-employment.” It is headquartered in Harlem and has served 5,000 small businesses to date. Membership is free for 2016. ABWA NYC “unites professionals of diverse backgrounds and occupations in a common commitment to the personal and professional development of its members, offering networking, education, leadership and volunteer opportunities in a supportive and relaxed atmosphere.” The group meets monthly in Midtown. Membership costs about $200/year. WAM Ventures is a network as well as a business advisory firm providing development, capital raising guidance & strategic partnership services. WEPN is a Meetup community of 600 young women entrepreneurs in NYC who meet regularly to educate and encourage one another. The Tory Burch Foundation offers a wide range of services to women entrepreneurs, including workshops, access to capital, grant opportunities, and networking events. You can subscribe to their email list to keep updated on new programs and events. Women’s Agenda was founded in 1992 as an umbrella organization for major women’s groups. It is a coalition of over 100 diverse women’s organizations that advocate and organize around business and other issues affecting women. NAWBO, which represents 10 million businesses in the country, is “the only dues-based national organization representing the interests of all women entrepreneurs across all industries.” Membership in its NYC chapter costs between $20-40 per month. The Women Presidents Organization is a non-profit organization for women presidents, CEOs, and managing directors of private, multimillion-dollar companies. The organization has six New York City chapters located in Midtown. Membership dues run from $900 to $5,000 per year. Ellevate’s New York Chapter offers access to a “global community of smart, savvy women with an eye to success.” Monthly membership fees run between $8 and $80. Founded by Phoebe Lovatt, The WW Club offers “a space for working women worldwide”. Benefits include member-only content, group chats and events. The Tory Burch Foundation Education Program offers qualified businesses specialized, practical education to develop a customized growth plan in a three-month course and weekly mentorship. SheWorx offers paid events for women entrepreneurs in NYC to learn and connect, such as a weekly breakfast series. OKREAL “hosts results-driven experiences for women who are figuring out their lives: helping them determine what their version of fulfillment looks like and how to get there.” Offerings includes mentoring opportunities, live interviews and workshops. The InnovateHER Challenge is an annual competition held by the U.S. Small Business Administration (SBA) for businesses that specifically benefit women. Local winners advance to a national semifinal round. Three national finalists win between $10,000 and $40,000. The Fellows Competition is an annual program for women entrepreneurs that culminates in a three-day workshop, mentorship, and the opportunity to win a $100,000 grant. Sponsored by Rent the Runway and UBS, Project Entrepreneur is “a venture competition and educational program designed to provide women entrepreneurs nationwide with the tools to build high-growth, high-impact businesses”. The top 200 applicants are invited to a two-day weekend intensive in New York City. Project Entrepreneur also offers a collection of digital resources for women across the country. WomanCon is a one-day conference for women business entrepreneurs held each fall in NYC. Tickets range from $100 to $150. The Women’s Entrepreneurs Festival, now in it’s 6th year, is an event dedicated to supporting a community of women entrepreneurs. General admission tickets are $375. On May 6, Create & Cultivate is hosting a one-day conference in NYC filled with panels, workshops, break out sessions and much more. Tickets range from $350 to $550, and panelists include Rebecca Minkoff, Katia Beauchamp (Birchbox) and Cleo Wade. Astia was founded in Silicon Valley in 1999 as a non-profit organization dedicated to identifying and promoting best-in-class women high-growth entrepreneurs. The organization operates out of locations in NYC, San Francisco, and London. The WVF is a nonprofit organization and community lender (CDFI) that helps women in major cities to start and grow their businesses through training programs, events, and funding. Golden Seeds is one of the nation’s most active early-stage investment firms, focused on vibrant opportunities for women-led businesses. Gotham Gal, lead by Joanne Wilson, invests in start-up companies that are technology based, including some in the consumer products area and even restaurants. Female Founders Fund invests in areas where they feel women-led startups have incredible impact: e-commerce, media, web-enabled products and services, marketplaces and platforms. 37 Angels is a community of women investors. Their mission is to educate women to become angel investors. They also offer a curated collection of resources for entrepreneurs, with a category specifically devoted to resources for female founders. While not exclusively for women, this NYC accelerator for tech companies has many women mentors and has shown good support for women-founded startups. The Vinetta Project is a social and investment community designed to support high-growth tech companies founded by women. Its New York Chapter has over 6,000 members. The New York Fashion Tech Lab connects women-founded startups in fashion technology companies with major retailers and brands. The non-profit member association’s mission is to advance women in the male-dominated industry. The New York Chapter was its founding chapter. The WBC represents women in the construction industry on legislative advocacy, new business and professional development, and leadership. The Bronx WBRC is an SBA program that provides guidance to small business owners and future entrepreneurs, including workshops, access to capital, one-on-one assistance, and computer training. WBRC is part of the Business Outreach Center Network and is one of the Entrepreneurial Assistance Program (EAP) Centers in New York State. Services are offered in English, Spanish, and Portuguese. The Business Outreach Center Network’s center in Brooklyn is designed to help women entrepreneurs with business development and access to capital. Two WBEC locations in Brooklyn offer one-on-one business and marketing coaching. They are funded by the SBA and also provide Business Development and Finance workshops. The Queens WBC in Jamaica is designed to help women entrepreneurs with business development and access to capital. This NYPL Directory helps you search hundreds of organizations offering small business services by keyword, industry, and service categories. It’s a great resource for finding niche services to fill your particular business’ needs. 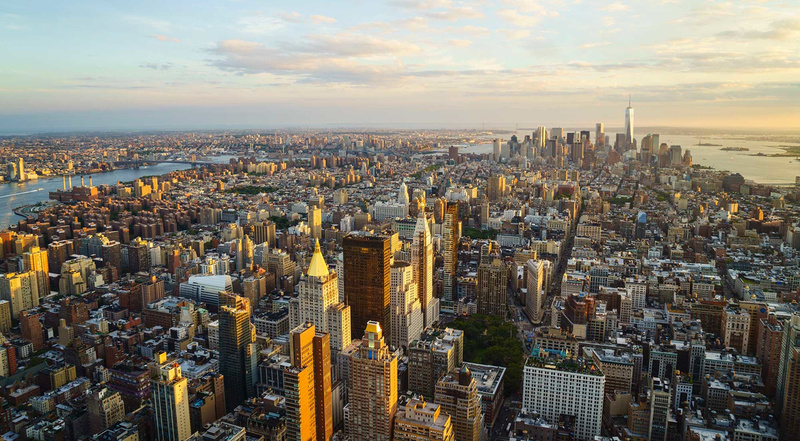 The City resource Business First is a portal to a huge number of incentives, programs and resources accessible to companies within New York State. The site is administered by Empire State Development and is searchable by type of assistance, industry, size of business, and M/WBE status.